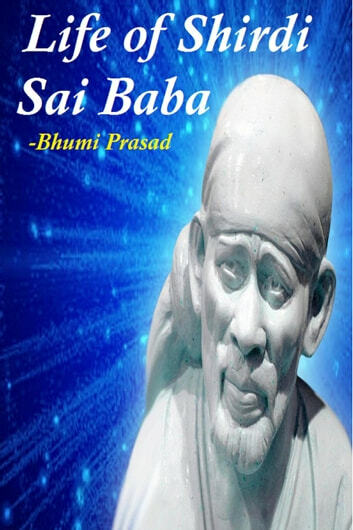 The Life of Shirdi Sai Baba is a book containing Baba’s leelas (great work), miracles and teachings. It is a book for devotional reading. Sai Baba’s teachings are the principles enunciated in the Vedas. All the great things contained in the scriptures were narrated by Baba in the form of stories, which could be understood even by lay people. His life is a spiritual institution for us. If anyone does devotional reading of Baba’s Life History for relief from worldly problems or difficulties, they will find relief, depending on their degree of devotion. If Pranayama is done not for physical benefits but for spiritual progress, then this acts as a divine medicine. May Sai Baba, the love incarnate, bestow peace and happiness and protects us form all evils. May Sai give them sadgati (merger in God).